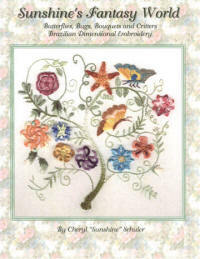 These instructions assume the basic knowledge of Brazilian Embroidery or the availability of beginner's books, such as “Sunshine’s Treasures, Book 1” Or Brazilian Embroidery 101, By Cheryl Sunshine Schuler for a refresher. 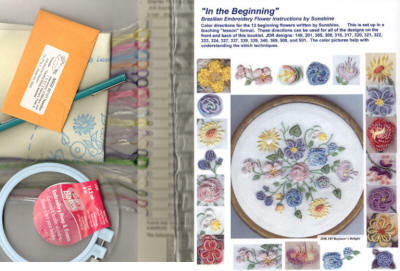 The following basic stitching directions are NOT included: Straight stitch, French Knots, Bullions, Cast-on Stitch, Blanket Stitch, Detached Buttonhole Stitch, and Satin Stitch. 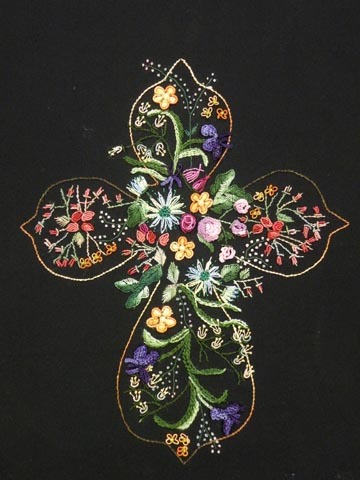 If you know the basic technique for these stitches you will need no other directions. 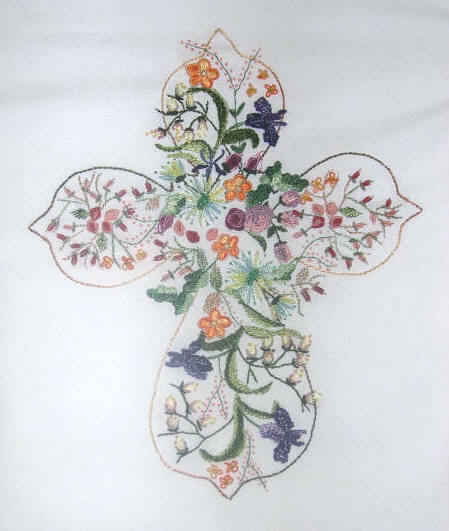 These directions tell you how to USE the above stitches to make the flowers in the design. 8 X 10” stitching area. COLOR directions, color picture and thread list.